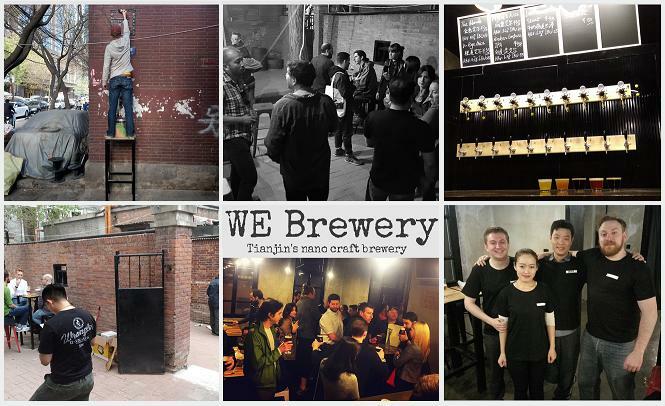 By Jim Boyce | Tianjin food and drink aficionado Martin Winchell recently said one place I needed to contact about World Baijiu Day was WE Brewery. Turns out he was right because owner and brewer Steve Wang is full of cool ideas for both his beer and food. As there wasn’t enough time left to make a baijiu beer, Steve decided to go for infusions this year, using light-aroma baijiu. His first effort was a cranberry infusion for the golden ale The Blonde, which he describes as malty and slightly sweet with a light body and hops. The second test: dried sour plums. “Sometimes people use it for medicine, sometimes people boil it in the summer and add sugar to use as a drink,” Wang explains. “I already tested these out and people liked them,” he adds. 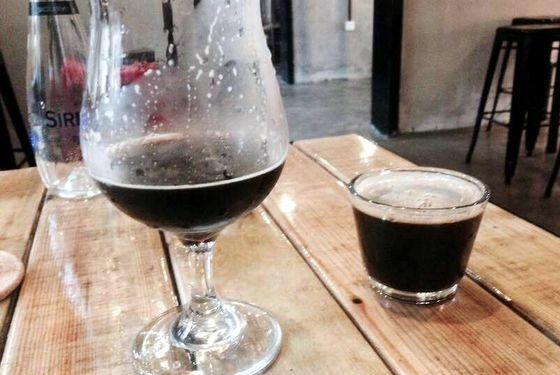 One was Sam Cornthwaite of Good Works Coffee & Tea, who visited WE Brewery yesterday and will participate in World Baijiu Day at Pop-Up Beijing (see Moutai Mochas and Baijiu Iced Teas). Steve is also working baijiu angles into the food menu, including his fish and chips and burgers, this time with strong-aroma baijiu. “I tried to use baijiu batter on our fish, but it didn’t work very well, so we’ll add some on top, like malt vinegar,” he says. “”It’s quite a nice smell, and doesn’t change the flavor too much, because the baijiu evaporates quickly.” He will also include baijiu in his homemade tartar sauce. The burgers will include meat marinated in baijiu, with a little bit of spirit added just before serving. Get these unique baijiu-inspired beers and foods from August 2 through August 9 at WE Brewery (closed Mondays). See here for the WE website, including the contact details and address. I’ll have more details on WE Brewery and World Baijiu Day soon.